Spectacular free-roaming VR immerses participants in a virtual landscape of shadow and terror. 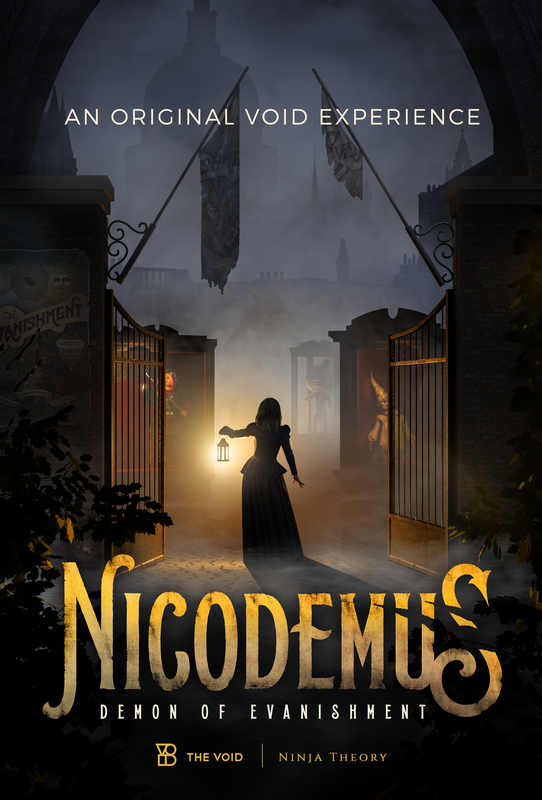 Nicodemus: Demon of Evanishment is a wonderfully creepy virtual reality attraction from The Void, a company that pairs Head-Mounted Displays with physical settings to immerse participants in imaginary worlds they can not only see and hear but also touch. Nicodemus: Demon of Evanishment takes The Void's approach to the next level by adding story elements and puzzle solving; the combination of virtual environments, tactile interactivity, and active participation turns the free-roaming VR attraction into a synthesis of escape room, immersive theatre, and haunted house. The result may lack the visceral physicality of a traditional haunt, but the virtual world allows its antediluvian demon to roam free of physical constraints, manifesting whenever and wherever it chooses. Designed as a seasonal Halloween attraction, which made its debut for Halloween 2018, Nicodemus: Demon of Evanishment sends you back in time to track a demon that disrupted the 1893 World's Fair. Tickets are sold in timed intervals. You can purchase at the location, but it's better to reserve a slot ahead of time and then arrive early to check in and sign the obligatory waiver. When your time arrives, you and your group (of four) will be taken to suit up, donning backpacks and VR headsets, which fit comfortably over most eyeglasses. Lockers are available for hats and coats (the temperature can be rather warm inside). Like The Void's previous virtual reality attractions, Nicodemus: Demon of Evanishment features a fixed route with handrails, walls, and movable props; however, Nicodemus: Demon of Evanishment summons a greater illusion of freedom. Unlike the linear approach of Ghostbusters: Dimension, The Void's previous foray into supernatural spook-hunting, Nicodemus: Demon of Evanishment sets up its premise and turns its paranormal investigators loose to find their own way. What happens depends - or at least seems to depend - on the actions of the participants, whose experiences vary according to the choices they make. You seem stuck in the electrical room until you fix the fuse of the sparking equipment, or you feel trapped in the wheel house room until you spin the controls correctly. These puzzles are challenging, sometimes to the point of frustration - not necessarily because they are too hard but rather because it is easy to be distracted by the amazing environments and atmosphere. Unexpected sights flit in and out of peripheral vision - a spirit briefly glimpsed in a mirrored surface - and if you are too focused on the task at hand, you may miss something you want to see. The 3D imagery maintains an almost uniform illusion of solidity; there is no vertigo-inducing blur or separation of left-eye and right-eye images (the bane of old-fashioned 3D). The digital tracking of your movements onto your virtual avatars is decent as long as you don't wave your arms around in a wild blur; unfortunately, facial expressions remain immobile, even when Nicodemus puts in one of his scream-inducing appearances. The attempt at story-telling is less successful; really, the only story is the back-story revealed in the video before you enter the World's Fair; after that, you're basically wandering through the environment, solving puzzles but not reaching a dramatic climax. In this regard, Nicodemus: Demon of Evanishment is very much in line with many haunted house attractions, which present a back-story to explain the origin of the haunting, whether or not that explanation is manifestly clear to someone who didn't read about it before entering the venue. Nevertheless, the sense of being immersed in a virtual world is so intense that it overwhelms any reservations. When Nicodemus attacks, rattling your escaping train car like an angry beast shaking a cage, you will be too awestruck to worry about reaching a dramatic conclusion. 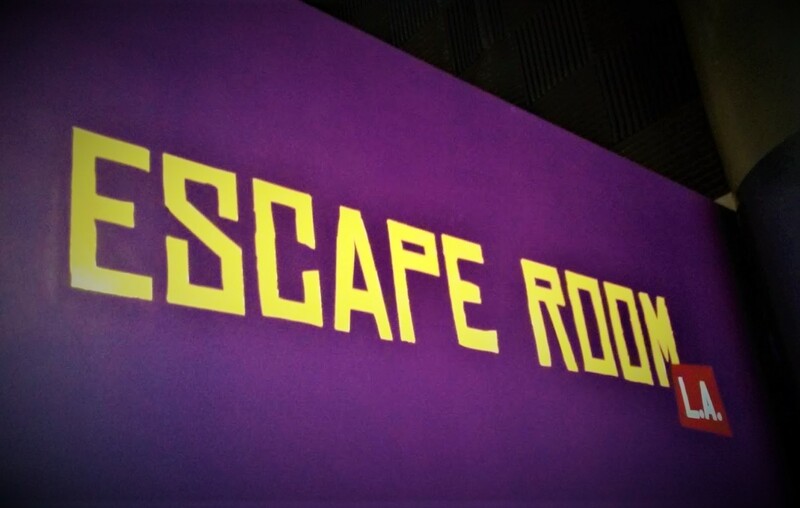 We were a little too dazzled by The Void's immersive virtual reality environment to engage with interactive challenges as fully as we would have liked, and one or two of the puzzles were beyond our ability to solve in the allotted time. 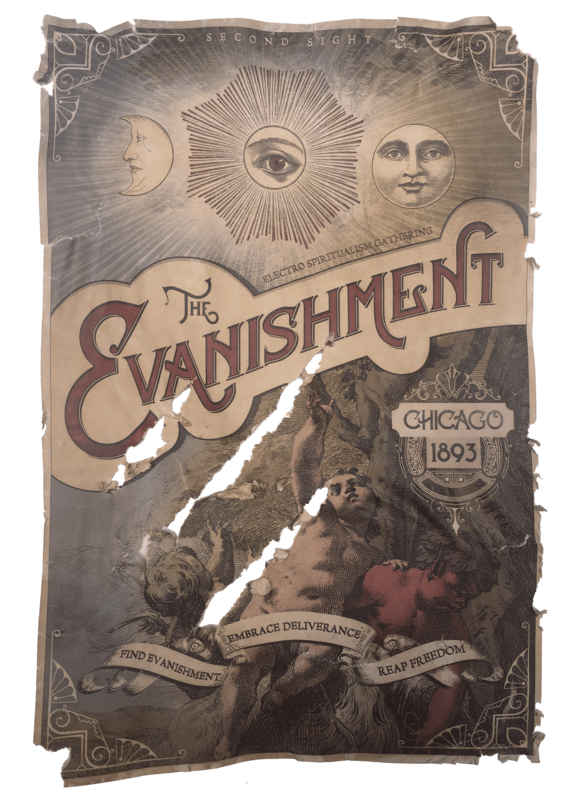 Nevertheless, the synthesis of virtual reality, physical environments, and supernatural thrills turned Nicodemus: Demon of Evanishment into one of the most spectacular virtual reality attractions we have ever experienced. 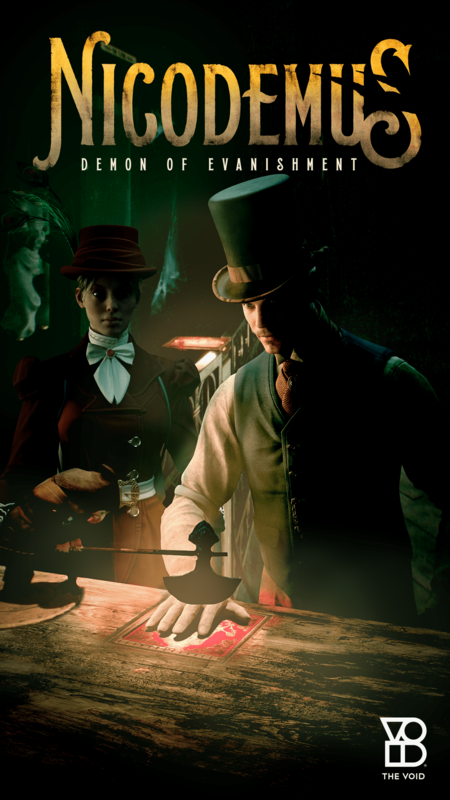 We don't think VR will replace traditional haunted houses, but this one has its own unique flavor, along with the added advantage that it can run outside the traditional Halloween season. Though not as narratively developed as it wants to be, this is a spectacular Virtual Reality experience, immeasurably enhanced by its tactile, interactive nature. Nicodemus: Demon of Evanishment is currently at The Void’s Glendale Galleria location, along with Star Wars: Secrets of the Empire and Ralph Breaks the VR. 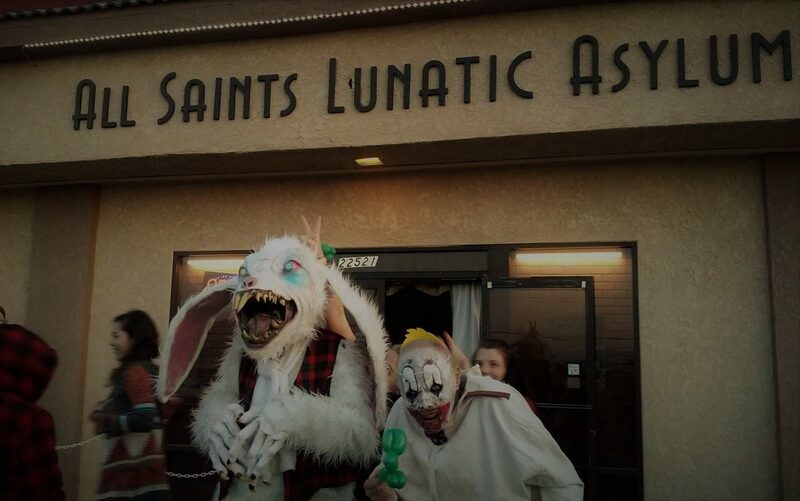 The address is 1164 Galleria Way, Glendale, CA 91210. The Void is located next to Victoria’s Secret, across JC Penny’s. Nidocemus runs on Thursdays through April 25, with start times from 10am to 8:45pm. Advance tickets are recommended to reserve check-in time; arrive early, and allow approximately one hour for the entire experience. For more information, visit TheVoid.com.